When we think of wellness and health, we often focus on major organs like our heart, lungs, and brain. We might even think about our skin, muscles, and skeletal systems. It’s not very often that we think about our thyroid. But this small gland, located within our neck can have a major impact on our overall sense of wellbeing. If you display one or more of the following signs, you may be experiencing problems with your thyroid. First, met with a specialist in your area that can help you understand more about your symptoms. They may recommend that you consult a thyroid surgeon in your area that can address your more serious issues with a thyroid surgery procedure. While these issues are common with lots of illnesses, they are very closely associated with hypothyroidism. Even after a full night’s sleep and frequent naps, if you’re still feeling tired, your thyroid could be underactive. 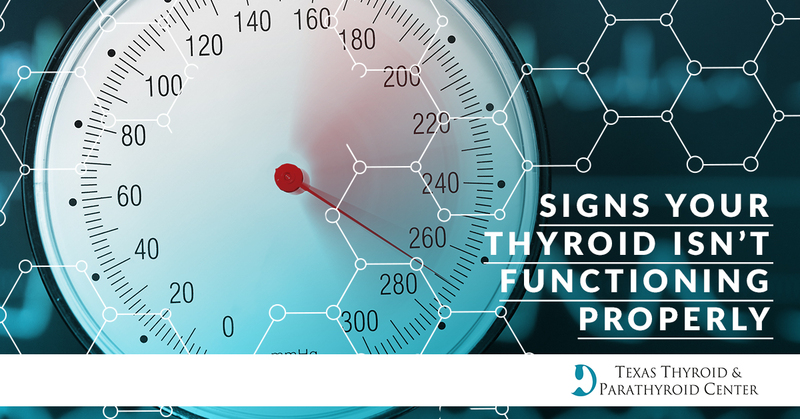 This is perhaps the most common sign and the one most frequently reported by patients with thyroid issues. Your appetite is connected to the amount of thyroid hormone that is released by the gland. When your thyroid is overactive and releasing too much hormone, you might feel more hungry than usual. If you’re suddenly eating more throughout the day, but not putting on any weight, this can be a sign of excess thyroid hormone. If your skin suddenly feels dry, itchy, and coarse, this can be due to a slowed metabolism. Essentially, hypothyroidism can impact your body’s ability to produce sweat. This means that your skin isn’t getting the moisture balance it needs to stay supple and soft. The appearance and texture of your skin might change if your body isn’t producing enough thyroid hormone. Similarly, your nails may feel brittle as well. Both hypothyroidism and hyperthyroidism have been linked to rising blood pressure. This heightened blood pressure can lead to other health complications like hypertension. Current theories suggest that thyroid hormones influence your heartbeat, slowing it down, and affecting the strength of each pump, and your blood vessel walls as well. A scratchy throat or a persistent feeling of having a “lump” in your throat may be a sign of a thyroid condition. You can check for any lumps at home by carrying out a simple test. Hold a mirror in your hand and direct it toward your neck, above your collarbone and below your voice box or Adam’s apple. Lean your head back, take a sip of water, and slowly swallow it. Look at your neck as you swallow. If you see any lumps, bumps, or ridges below your Adam’s apple, but above your collarbones, you’ll want to take your findings to a thyroid specialist. If these lumps prove to be cancerous or tumor-like, your specialist will refer you to a thyroid surgeon for further surgical options. Those in the Austin area know to trust Dr. Teresa Kroeker for all of their thyroid, parathyroid surgery needs. Conducting hundreds of surgeries each year, Dr. Kroeker is known regionally and nationally for her skill and commitment to high-quality care for each and every one of her patients. If you have been recently diagnosed with a thyroid or parathyroid disease, or think you may be in need of thyroid surgery, you can trust Dr. Kroeker and the team at the Texas Thyroid & Parathyroid Center to ensure that you are well cared for. Contact us today to schedule an appointment.